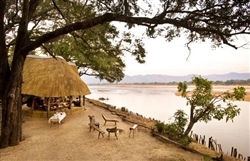 Chamilandu Bushcamp is perfect for a bird’s-eye view of the wildlife that the river and its lagoons attract. This is an intimate camp, with just 3 chalets, all raised on stilts, set on the river bank, and given shade by the stately ebony trees. 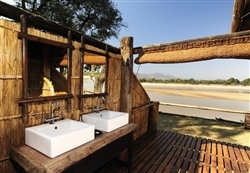 Each chalet has its own raised veranda – a great place to relax in the heat of the day, and an open-fronted en-suite bathroom with the same magnificent views over the tranquil waters. 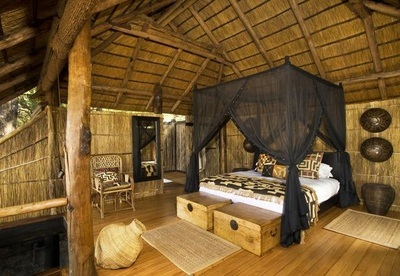 Two of the tree-houses have twin beds (queen-sized beds) and one has a double (king-sized bed). 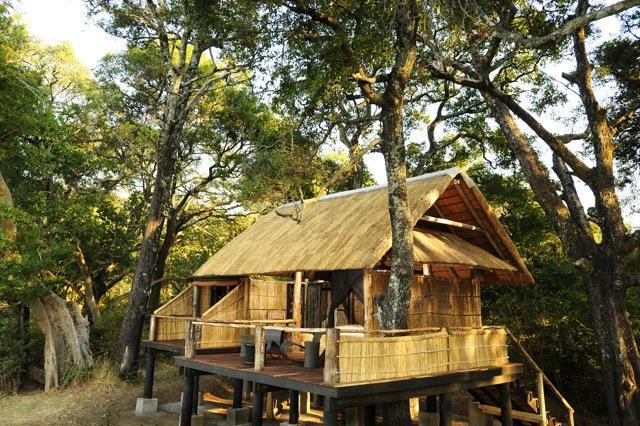 You don’t even need to leave your bed to see the wildlife – from your unique vantage point you can watch as animals roam across the landscape, or swing through the trees above your head. 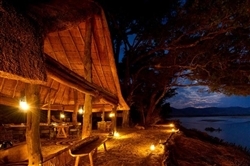 With capacity for just six guests, Chamilandu is the perfect camp for small groups. 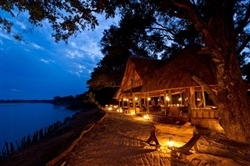 Enjoy a sun downer from the comfort of the thatched bar and dining area, as you watch the wildlife do the same at the river. Walking safaris and game drives around Chamilandu explore the impressive range of habitats in the area. With no fewer than seven oxbow lagoons behind camp, there are always thirsty animals around in the area. 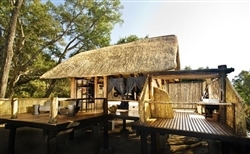 You can also enjoy the use of a hide, which looks out over one of these lagoons and is the perfect place to take lunch, tea or to while away an afternoon in a hammock to the soundtrack of bathing elephant. Children over 12 years are welcome at Chamilandu, but if the camp is taken for sole use, on a private basis, children under 12 are also welcome.